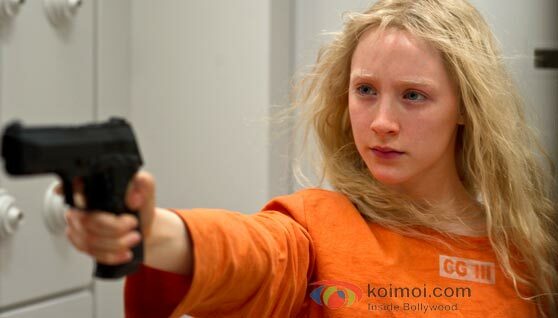 Hanna movie plot: A teenage girl (Saoirse Ronan), who is raised by her father (Eric Bana) to be a cold-hearted assassin, finds herself at sea when she goes out into the world after a life lived in isolation. Find out more in the full review of Hanna. Star cast: Saoirse Ronan, Eric Bana, Cate Blanchett. What’s Good: Saoirse Ronan’s acting; the picturesque yet edgy cinematography; the extraordinary background score. What’s Bad: The unconventional (and hence, to many, unpalatable) subject; the linear screenplay; Indian audiences will also not take to a young girl murdering people. Verdict: Hanna is a well-made film, but it will not find many takers at the Indian box-office due to its unusual subject. Watch or Not? : Watch it if you are a fan of unconventional, edgy cinema. Holleran Company’s Hanna is the story of a young girl with extraordinary powers. 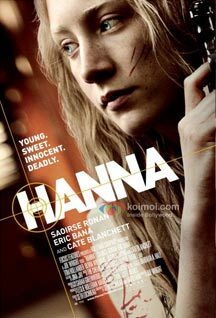 Hanna (Saoirse Ronan) is a teenage girl who leads a lonely life with her father, Erik (Eric Bana), in the middle of a remote, snow-covered forest in Finland. Erik has been training Hanna in archery, pistol shooting and hand-to-hand fighting, so that she is ready to face the dangers of the outside world. There is some secret of their past but they don’t talk about it. Erik has told Hanna that she can go out into the world when she feels that she is ready. When she is, Erik leaves her, promising to meet her at a pre-decided location in Berlin. Soon, CIA sleuths attack their isolated house and capture Hanna but not before she has quietly killed a few operatives. Hanna is then taken to the secret CIA facility in the Moroccan desert, where a ruthless CIA boss, Marissa (Cate Blanchett), supervises her interrogation. When Hanna divulges nothing at all, Marissa sends in her (Marissa’s) look-alike, who Hanna brutally murders with her bare hands. Hanna then manages to escape. Shocked, Marissa sends a group of agents after Hanna, even as the latter travels stealthily across Europe. Although Hanna has never been in the outside world before, she quickly adapts to her surroundings, and takes refuge with a family that is travelling across Europe. Besides the agents, Marissa is also hunting for Hanna with a vengeance because she is afraid that skeletons in her cupboard will tumble out, if Hanna is discovered. Marissa also sends out more sleuths to hunt down Erik, who is also considered as a liability. While the agents catch up with Hanna as she moves on towards Germany, Erik also falls into trouble as he reaches Berlin. What happens next? Why does Marissa want Hanna and Erik dead? What is the real relationship between Hanna and Erik? Where does Hanna get her extraordinary strength from? The rest of the film answers these questions. The story of Hanna, by Seth Lochhead, is reminiscent of the classic film, The Little Girl Who Lives Down the Lane, in which a young Jodie Foster had played the role of a young girl who adapts to her circumstances after the untimely death of her father. As such, the story of Hanna, although unconventional, is not path-breaking. The screenplay, by Seth Lochhead and David Farr, revolves around the journey of Hanna after she leaves the confines of her home. The scenes where Hanna, a trained assassin, explores the outside world, are interesting. The fight sequences are also very well-done. However, as the film moves along a single track, it fails to hold the audience’s attention after a point of time. Also, Hanna’s betrayal of Erik’s trust, leading to the latter’s eventual death, shows the lead character (Hanna) in poor light. Hence, although Hanna is, in the end, portrayed to be the oppressed in the film, her character also has shades of evil. Hence, the audience will not identify or sympathise with her character. Moreover, the fact that a young girl brutally murders at least half a dozen people, notwithstanding the fact that they were out to maim her, is something that will not go down well with a large section of the Indian audiences. Only connoisseurs of unconventional cinema will enjoy the drama. Saoirse Ronan does an exceptional job as Hanna. She is a natural actor and makes her unlikely character very believable. Eric Bana delivers a restrained performance. Cate Blanchett is okay. Olivia Williams (as Rachel) and Tom Hollander (as the gangster) do competent jobs. Joe Wright’s direction is fair. In spite of the flaws in the script, he manages to tell the story in an engaging manner. The background score, by The Chemical Brothers, is the highlight of the film. Alwin Küchler’s cinematography is very good, especially in the action sequences. Editing, by Paul Tothill, is appropriate. On the whole, Hanna is a well-made film but it will find little appreciation at the Indian box-office due to its unconventional subject and the film’s poor promotion.